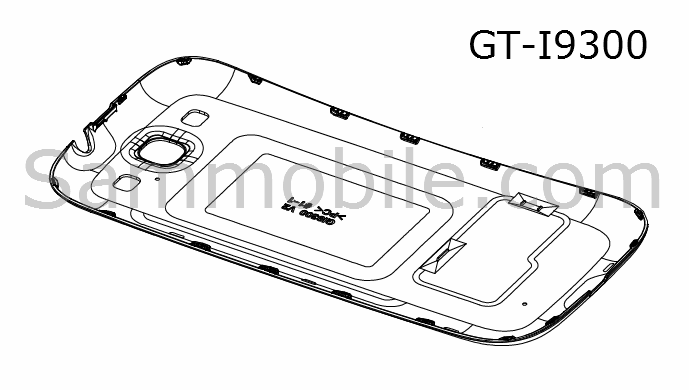 The Samsung GT-i9300, oft-rumored to be the Galaxy SIII, appeared this morning in what is said to be an official user guide for the device. The list of specs looks decent on paper, but it doesn’t necessarily match-up with what we know to be official for Samsung’s next flagship. Last night, we were told by Samsung that the next Galaxy will have a quad-core Exynos processor clocked at 1.4GHz, yet this page clearly states 1.5GHz. 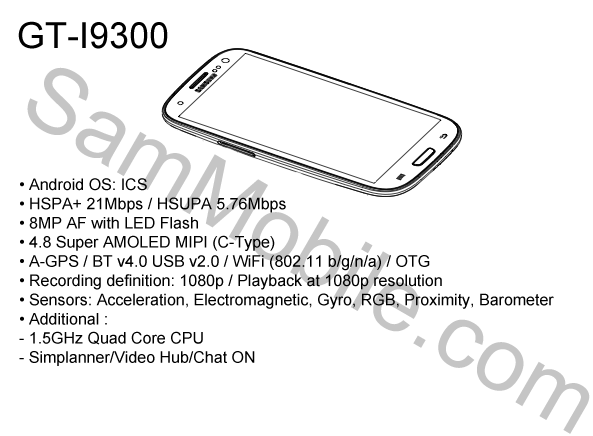 Oh, and then we have a sketch of the device along with this list of specs. Is that a physical home button? It makes absolutely no sense to include a physical home button when their is an on-screen home key, thanks to Ice Cream Sandwich. I personally owned the Euro, unlocked Galaxy SII and hated every second of the physical home button in the middle of the device. Please Samsung, do not bring it back with next Galaxy. Samsung Stages Protest Outside of Apple Store, Encourages Customers to "Wake Up"
Rockstar Games: Max Payne for Android Delayed, Should Be Out "Next Week Or So"